It is likely that the locomotive class name derives from a locomotive named Mogul, built by Taunton Locomotive Manufacturing Company in 1866 for the Central Railroad of New Jersey. However, it has also been suggested that, in England, it derived from the engine of that name built by Neilson and Company for the Great Eastern Railway in 1879. Beyer, Peacock and Company provided large numbers of standard design 3 ft 6 in (1,067 mm) narrow gauge Mogul locomotives to several Australian Railways. Users of the Mogul type include the South Australian Railways with its Y Class, the Tasmanian Government Railways with its C Class, the Western Australian Government Railways with its G Class (in a 4-6-0 configuration as well) and numerous private users. 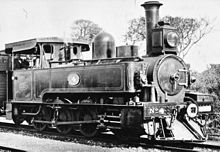 Twenty 2-6-0 locomotives were built by Les Ateliers de Tubize locomotive works in Belgium for the 1,000 mm (3 ft 3 3⁄8 in) metre gauge CF du Congo Superieur aux Grands Lacs Africains (CFL) between 1913 and 1924. The first eight, numbered 27 to 34, were built in 1913, followed by six more in 1921, numbered 35 to 40. Six more of a slightly larger version followed in 1924, numbered 41 to 46. They had 360 by 460 millimetres (14 by 18 inches) cylinders and 1,050 millimetres (41 inches) diameter driving wheels, with the smaller versions having a working order mass of 28.8 tonnes (28.3 long tons; 31.7 short tons) and the larger versions 33.4 tonnes (32.9 long tons; 36.8 short tons). Most of the CFL was regauged to 3 ft 6 in (1,067 mm) gauge in 1955, as were all of the serving Moguls. Most of them still survived in 1973. A large number of 2-6-0 locomotives were used in Canada, where they were considered more usable in restricted spaces, being shorter than the more common 4-6-0 Ten-Wheelers. The Canadian National Railway (CN) had several. One of them, the CN no. 89, an E-10-a class locomotive built by Canadian Locomotive Company in 1910, has been owned and operated since 1972 by the Strasburg Rail Road in Pennsylvania in the USA, in conjunction with the Railroad Museum of Pennsylvania. A good preserved version, the White Pass and Yukon Railroad no. 51, can be found at the MacBride Museum of Yukon History in Whitehorse, Yukon. Finland’s 2-6-0 locomotives were the Classes Sk1, Sk2, Sk3, Sk4, Sk5 and Sk6. Finnish Steam Locomotive Class Sk1s were built from 1885 by Swiss Locomotive and Machine Works. They carried numbers 117 to 131, 134 to 149, 152 to 172 and 183 to 190. These locomotives were nicknamed Little Brown. Class Sk2 locomotives were numbered 196 to 213, 314 to 321 and 360 to 372. They were built by Tampella. No. 315 is preserved at Tampere in Tampella. Finnish Steam Locomotive Class Sk3s were built from 1903 by Tammerfors Linne & Jern Manufakt. A.B. They were numbered 173 to 177, 191 to 195, 214 to 221, 334 to 359, 373 to 406 and 427 to 436. These locomotives were nicknamed Grandmothers. The Staatsspoorwegen (SS) in Indonesia operated 83 2-6-0 tank locomotives of the C12 series, built by Sächsische Maschinenfabrik of Chemnitz, Germany in 1896. They were wood-burning locomotives which consumed two cubic meters of wood and 3,500 litres (770 imperial gallons; 920 US gallons) of water for 4½ hours of steam production. Of these locomotives, 43 survived the invasion by Japan during the Second World War and were still being operated following independence from the Netherlands. They were based in Cepu in Indonesia and were used on the Cepu-Blora-Purwodadi-Semarang-Bojonegoro-Jatirogo route, now closed. By the early 1980s, the survivors of the class were in poor condition. One example, C1218 no. 457, was revived in 2002 after twenty-five years, in Dipo in Ambarawa. By mid-2006 it was operational, and since 2009 it was moved to Solo in Central Java to haul a chartered steam train across the main street of the town. The Ferrovie dello Stato Italiane came to operate more than 500 2-6-0 locomotives of the Class 625 for mixed traffic and the Class 640 for light passenger trains. These locomotives, nicknamed Little Ladies (Signorine), were very successful and several were preserved after the end of regular steam services, with some still operational for heritage trains. The Class J of the New Zealand Railways Department (NZR) was its pioneering tender freight locomotive, introduced in 1877 for use in the re-gauged Canterbury region of the South Island. Built by the Avonside Engine Company and other locomotive works in the United Kingdom, they were shipped to New Zealand in kit form. They eventually served all over New Zealand's fledgling rail network on both islands. In time, they were replaced on mainline running as larger power arrived. Many survived into the 1920s as yard shunters and some were converted to tank locomotives. In 1876 and 1877, the Cape Government Railways (CGR) placed eighteen Mogul locomotives in freight service on the Cape Western system, built by Beyer, Peacock and the Avonside Engine Company. They were designated 1st Class when a classification system was adopted. By 1912, three of them survived to be considered obsolete by the South African Railways (SAR), designated Class 01 and renumbered by having the numeral 0 prefixed to their existing numbers. All were withdrawn from service by 1916. Also in 1876, the CGR placed a pair of Stephenson's Patent back-to-back Mogul type side-tank locomotives in service on the Cape Midland system, built by Kitson. They were later separated and rebuilt to saddle-tank locomotives for use as shunting engines. When a classification system was introduced, they were designated 1st Class. In 1876 and 1877, the CGR placed eight Mogul tender locomotives in service on the Cape Midland system, also built by Kitson and Company. They were all eventually rebuilt to saddle-tank locomotives for use as shunting engines. When a classification system was adopted, they were also designated 1st Class. In 1877, Whythes & Jackson Limited, contracted by the Natal government for the construction of the line from Durban to Pietermaritzburg, took delivery of two 2-6-0 tank locomotives from Kitson and Company for use during construction. The locomotives were not numbered, but were appropriately named Durban and Pietermaritzburg after the two towns which were to be connected by the new railway. Upon completion of the construction contract at the end of 1880, the locomotives were taken over by the Natal Government Railways (NGR) and in 1893 they were sold to the Selati Railway. In 1877 and 1878, seven Mogul tank locomotives were also delivered to the NGR by BP, built to the same design as the two contractor's locomotives. Later classified as NGR Class K, they were the first locomotives to be ordered for use on the then newly laid Cape gauge Natal mainline into the interior. One was sold to the East Rand Proprietary Mines and two came into SAR stock in 1912, but remained unclassified as "NGR 2-6-0T Beyer Peacock Sidetank". Although they were considered obsolete, they remained in service as late as 1931. In 1879 and 1880, the CGR placed ten Moguls, built by Beyer, Peacock and Company, in freight service on the Cape Western system. While similar to the locomotives of 1876, their cylinders were mounted at a downward inclination towards the driving wheelset. They were also designated 1st Class when a classification system was adopted on the CGR. In 1879, the NGR placed seven 2-6-0T locomotives in service. They were subsequently modified to a 4-6-0T wheel arrangement and were designated NGR Class G. In 1912, when fifteen of them were assimilated into the South African Railways, they were renumbered and reclassified to Class C.
In 1891, the CGR placed two Baldwin-built 2-6-0 Mogul locomotives in freight service, the first American locomotives to enter service in South Africa. They were originally designated 5th Class, but the classification was later changed to 1st Class. One of them still survived in 1912 and was also designated Class 01 by the SAR. It was withdrawn from service in 1920. In 1900, while the Second Boer War was still in progress, four 2-6-0T locomotives arrived in the Cape Colony, built by the Dickson Manufacturing Company in 1899. Since they bore cab side-plates inscribed "SS-ZAR" and were named J.S. Smit, J.J. Spier, L.S. Meyer and C. Birkenstock, they were intended for the Netherlands-South African Railway Company (NZASM) in the Zuid-Afrikaansche Republiek (ZAR). 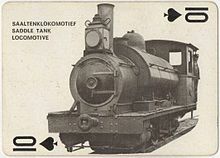 They were diverted to Indwe Collieries in the Cape Colony and when the CGR later took control of the colliery line, these locomotives were classified as part of the CGR 3rd Class. All four survived to come into SAR stock in 1912, when they were classified as Class O3. They were withdrawn by 1915. Also in 1900, two Mogul saddle-tank locomotives entered shunting service at the Port Elizabeth Harbour, followed by one more in 1903. In 1902, the Zululand Railway Company, contractors for the construction of the North Coast line from Verulam to the Tugela River, acquired two 2-6-0 tender locomotives as construction engines. Upon completion of the line in 1903, the locomotives were taken onto the roster of the Natal Government Railways and designated Class I. Between 1902 and 1904, eleven Mogul saddle tank locomotives, built by Hunslet Engine Company, were delivered to the Table Bay Harbour Board. All were taken onto the Cape Government Railways roster in 1908 and came into SAR stock in 1912, but were considered obsolete and remained unclassified. In 1902, the CGR placed three locomotives with a Mogul wheel arrangement in service on the Hopefield 2 ft (610 mm) narrow gauge branch line that was being constructed from Kalbaskraal. They were built by Baldwin and were of a standard type that was being used on the narrow gauge railroads of Maine in the USA. A fourth locomotive, identical to the first three, was ordered from the same manufacturer in 1911. In 1912, when these locomotives were assimilated into the South African Railways, they were renumbered with an "NG" prefix to their running numbers. When a system of grouping narrow gauge locomotives into classes was eventually introduced somewhere between 1928 and 1930, they were to be classified as Class NG7 but had already been withdrawn from service. In the United Kingdom, where locomotives are generally smaller than in the USA, the 2-6-0 was found to be a good wheel arrangement for mixed-traffic locomotives. Circa 1870, one 2-6-0T engine was built for the Garstang and Knot-End Railway. The first unsuccessful examples were fifteen locomotives built to a design of William Adams for the Great Eastern Railway in 1878-79. The Midland and South Western Junction Railway acquired two examples built to an Australian design by Beyer, Peacock and Company in 1895 and 1897. A long strike by workers throughout the British engineering industry in 1898/1899 led to a backlog of locomotive orders. This led leading British companies to place orders with American builders for standard light general-purpose locomotives adapted to British requirements. In 1899, the Midland Railway (MR), the Great Northern Railway (GNR) and the Great Central Railway all purchased examples from the Baldwin Locomotive Works in the USA. The MR also bought ten from Schenectady Locomotive Works at the same time. In the United States the 2-6-0 was already the common design for this sort of engine and these imports were to be very influential in introducing the wheel arrangement to the United Kingdom. At the time of the Railways Act 1921 Grouping in 1923, 2-6-0 locomotives were operated by the Caledonian Railway (34 class, 1912), the Glasgow and South Western Railway (403 class, 1915), the GNR (H2, H3 and H4 classes, 1920), the Great Western Railway (2600 and 4300 classes of 1900 and 1911 respectively), the London Brighton and South Coast Railway (K class, 1913) and the South Eastern and Chatham Railway (N class, 1922). Several of these designs continued to be built by the Big Four British railway companies after 1923, and several new and successful designs were introduced so that the 2-6-0 became the principal type for medium-loaded mixed traffic duties. Notable new designs included the Southern Railway’s U class (1928), the London Midland and Scottish Railway’s LMS Hughes Crab (1926), the LMS Stanier Mogul (1934), the LMS Ivatt Class 2 2-6-0 (1946), the LMS Ivatt Class 4 (1947), the London and North Eastern Railway’s LNER Class K4 (1937) and the LNER Thompson/Peppercorn Class K1 class which were built in 1949-50 after the nationalisation of British Railways. British Railways continued to build the Ivatt and Thompson/Peppercorn designs and then introduced three standard designs, based on the Ivatt classes. These were the BR Standard Class 2 2-6-0 in 1952, the BR Standard Class 3 2-6-0 in 1954 and the BR Standard Class 4 2-6-0 in 1952. 2-6-0 locomotives continued to be built until 1957 and the last ones were withdrawn from service in 1968. The first true 2-6-0s with single-axle swivelling leading trucks were built in the United States in 1860 for the Louisville and Nashville Railroad. The New Jersey Locomotive and Machine Company built their first 2-6-0 in 1861, as the Passaic for the Central Railroad of New Jersey. The Erie Railroad followed in 1862 with the first large order of this locomotive type. In 1863, Rogers Locomotive and Machine Works built more for the New Jersey Railroad and Transportation Company. The Baltimore and Ohio Railroad (B&O) no. 600, a 2-6-0 Mogul built at the B&O's Mount Clare Shops in 1875, won first prize the following year at the 1876 Centennial Exposition in Philadelphia. It is preserved at the B&O Railroad Museum, housed in the former Mount Clare shops in Baltimore. Well over 11,000 Moguls were constructed in the United States by the time production had ended in 1910. Very few of these classic steam locomotives still exist, most of them having been scrapped as newer, faster and more powerful steam engines were developed in the twentieth century. The USRA standard designs of 1914 did not include a 2-6-0. WDWRR no. 2 Lilly Belle (before its Strasburg Rail Road rebuild). WDWRR no. 2 Lilly Belle (after its Strasburg Rail Road rebuild). Five notable 2-6-0 locomotives are still in operation in the United States. Ex Southern Pacific Lines no. 1744 still operated on the Heber Valley Historic Railroad in 1982. Ex New Berlin & Winfield Railroad no. 2, built by the Baldwin Locomotive Works in 1906, was rebuilt and is maintained by the Midwest Central Railroad. Walt Disney World Railroad (WDWRR) no. 2 Lilly Belle, built in September 1928 by the Baldwin Locomotive Works as no. 260 for the Ferrocarriles Unidos de Yucatán in Mexico, operates on the railroad circling the Magic Kingdom in Orlando, Florida since 1 October 1971. Due to mechanical problems, this locomotive was shipped to the Strasburg Rail Road for an extensive overhaul in 2010. In July 2016, it returned to the Magic Kingdom and resumed service on November 23, 2016. Ex Canadian National no. 89 operates in excursion service on the Strasburg Rail Road. Everett Railroad no. 11 operates tourist trains on the Hollidaysburg, PA based shortline. The Southern Pacific Railroad no. 1785, located in Woodburn, Oregon. The Virginia and Truckee Railroad no. 13, Empire at the California State Railroad Museum in Sacramento, California. The Duluth and Iron Range Railroad no. 3 in Two Harbors, Minnesota. The Boston and Maine Railroad no. 1455 at the Danbury Railway Museum in Danbury, Connecticut. This was the last steam locomotive to regularly operate on the Boston and Maine Railroad in 1956. The Magma Arizona Railroad no. 6 at the McCormick-Stillman Railroad Park in Scottsdale, Arizona was built in October 1907 and operated until 1960. ^ a b c Hunt, David (1997). Supplement No. 1 - American Locomotives of the Midland Railway. Midland Record. Didcot: Wild Swan. pp. 15, 17. ISBN 1-874103-41-0. ^ "Strasburg Rail Road Today". Archived from the original on 2013-01-16. Retrieved 2012-12-02. ^ a b c d e f Holland, D.F. (1971). Steam Locomotives of the South African Railways. 1: 1859–1910 (1st ed.). Newton Abbott, Devon: David & Charles. pp. 28–30, 40–41, 84–85, 96–97, 106, 121. ISBN 978-0-7153-5382-0. ^ Dulez, Jean A. (2012). Railways of Southern Africa 150 Years (Commemorating One Hundred and Fifty Years of Railways on the Sub-Continent – Complete Motive Power Classifications and Famous Trains – 1860–2011) (1st ed.). Garden View, Johannesburg, South Africa: Vidrail Productions. p. 36. ISBN 9 780620 512282. ^ a b c d e f g Paxton, Leith; Bourne, David (1985). Locomotives of the South African Railways (1st ed.). Cape Town: Struik. pp. 15–16, 20–21, 24–25. ISBN 0869772112. ^ a b c d C.G.R. Numbering Revised, Article by Dave Littley, SA Rail May–June 1993, pp. 94-95. ^ a b c d Holland, D. F. (1972). Steam Locomotives of the South African Railways. 2: 1910-1955 (1st ed.). Newton Abbott, Devon: David & Charles. pp. 118–121, 124. ISBN 978-0-7153-5427-8. ^ Baxter, Bertram (1977). British locomotive catalogue 1825-1923. Moorland. p. 30. ^ a b Casserley, H.C. (1960). The historic locomotive pocketbook. Batsford. pp. 164–165. ^ Lowe, J.W. (1989). British Steam Locomotive Builders. Guild Publishing. ^ Kinert, Reed (1962). Early American steam locomotives; 1st seven decades: 1830-1900. Superior Publishing Company, Seattle, WA. ^ "Surviving Steam Locomotives in Florida". Steamlocomotive.com. Archived from the original on June 28, 2016. Retrieved June 12, 2017. ^ a b "Lilly Belle Steam Train returns to the Magic Kingdom". Blog Mickey. July 31, 2016. Archived from the original on May 27, 2017. Retrieved June 12, 2017. ^ "Lilly Belle Train Returns to the Walt Disney World Railroad". WDWThemeParks.com. November 24, 2016. Archived from the original on April 10, 2017. Retrieved June 12, 2017. Wikimedia Commons has media related to 2-6-0.